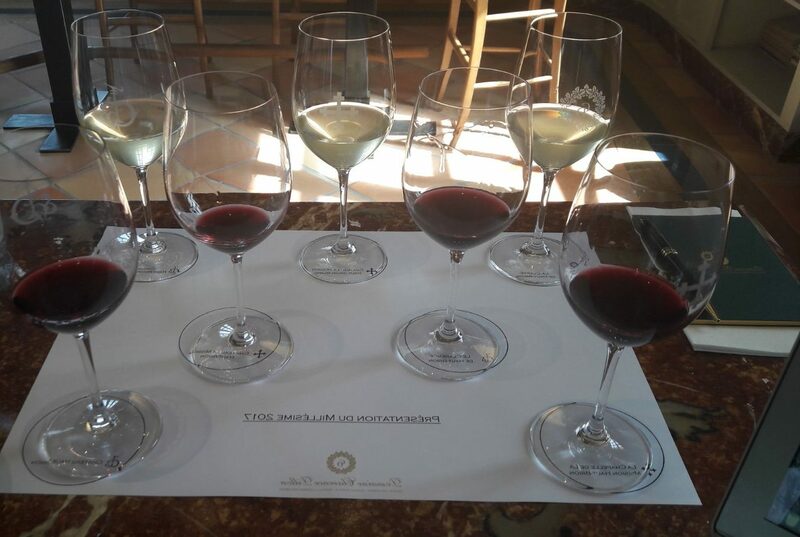 Our tasting team is now in Bordeaux, with several days of visits underway. Watch our interviews with some of Bordeaux’s top producers here. After three good vintages, the 2017 campaign may yet prove to be something of a quandary, but we arrived yesterday in Bordeaux with open minds and full of optimism. These are the very early stages and as such we are not looking to jump to any early conclusions. Having said that, we see no reason for 2017 release prices being anything other than lower than those in 2016. Rumours of another round of price increases were interestingly dispelled by some, including Jean-Philippe Delmas of Clarence Dillon, owner of the Haut-Brion stable. Time will tell, but this is a good early indicator for the campaign. There is no shortage of interest from the global trade this year. We heard yesterday that 1,600 visitors have registered to taste at Haut-Brion during next week’s ‘primeurs week’ and 1,200 at Figeac – record numbers for the latter. With each appointment lasting around an hour, this means that Monday to Friday next week are set to be jam-packed for chateau owners and the international trade and press. 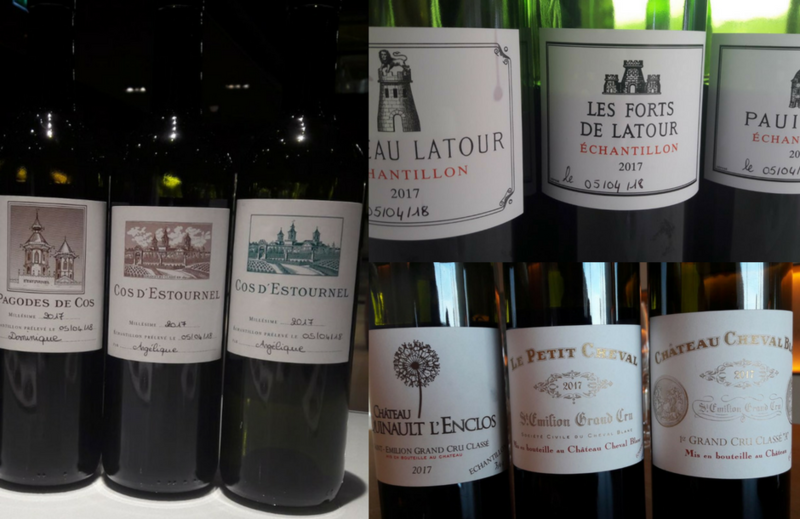 Yesterday at Chateau Latour, Jean Garandeau remarked that 2017 was marked by a lack of water, both in the winter and then again in July and August. A warm but balanced summer culminated in an early harvest – Latour harvested its Merlot from 11th to 15th September and its Cabernet Sauvignon from 2nd to 4th October. At Figeac, we heard that 70% of the area was affected by frost. The temperature was zero Celsius, but with a severe wind chill factor which had a devastating effect on final yields (the chateau made 22 hectolitres per hectare). The following bullet point synopsis of the growing season owes much to the very comprehensive report of Bill Blatch. Those of us without the fortune to be based in Bordeaux are grateful for such intricately detailed insight. The most remarkable quality of the winter was its warmth. The absence of a cold spell prevented the vine from recuperating fully, after the effort of a high-yielding 2016 crop under drought stress. In addition, without low temperatures to ward off vine pests and diseases, the Bordeaux vineyard entered the growing season in a somewhat precarious state. January, which ended as the coldest in 30 years, saw two periods of hard frost, totalling 15 days – a good thing for vine health. Warmth returned in February, with average temperatures 2.5ºC above normal and usual levels of rainfall. Temperatures were 2.9ºC above normal, with average levels of rainfall. – By mid-month, it became clear that the year would get off to an extremely early start. – The spectre of frost quickly asserted itself, the early start leaving the young buds exposed and precarious. 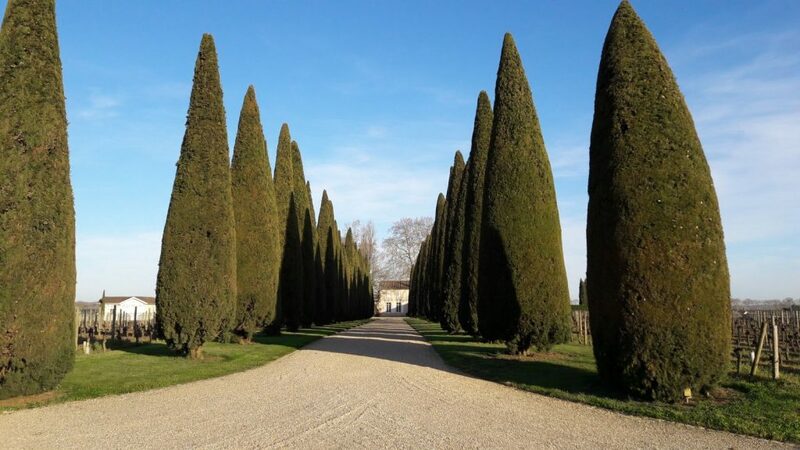 – Budburst at Cos d’Estournel occurred on 26th March, 5-6 days ahead of normal. Temperatures returned to normal in the first week of April, allaying fears somewhat, but the unseasonal warmth (in the high 20s) returned a few days later, causing a growth spurt in the vineyards. Some shoots reached 30cm, with five or six fully formed leaves on each. – On 21st April, in the midst of a forest fire in the Medoc, the humidity hit a 65-year low of 10%. The first wave of frost hit on the early morning of 20th April, with temperatures around France plummeting to -9°C (Champagne), -5°C (Chablis) and -4°C (Languedoc). 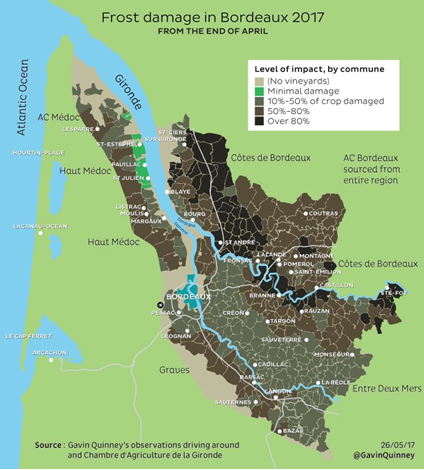 In the Bordeaux region, damage was less extreme than elsewhere – in Bill Blatch’s words again, “more like a classic spring frost such as we experience most years”. Losses in Bordeaux at this point were in the region of only 10%, far less than elsewhere in France. The low humidity of late April had saved the region. However, on 24th and 25th April, rain descended on Bordeaux. Then, on the night of 26th April, the wind suddenly dropped, and in the stillness of the early morning of 27th April, the temperature fell below zero, before dropping again in many areas to -2°C and as far as -6°C. In some places the early-morning sun had the same much-publicised effect as in Burgundy in 2016, burning the nascent buds and leaves through concentrating magnifying glasses of ice. The damage was immediate and, to further compound this havoc, the following two nights of 28th and 29th April saw further sub-zero temperatures, finishing off the job. Losses ranged from 50–100% in Entre-Deux-Mers and Barsac, to 50–80% in Lalande de Pomerol and southern Graves, to 50% in St-Émilion. The Gironde-facing parts of the Médoc fared better, including St-Estèphe, Pauillac and St-Julien. The plateau of St-Émilion and Pomerol were very fortunately spared, but not their satellites. Higher elevations of Sauternes escaped but not Barsac. Gavin Quinney’s excellent frost map below shows the extent of the damage (see here for further detail). At the time, it was estimated that 40% of the potential production of Bordeaux had been lost (according to the CIVB, the equivalent of 30 million bottles). The first category of totally frosted growers were relegated to the rank of spectators for the rest of the vintage. The second required the most vigilance, with a mixture of first and second growth shoots running on different maturity timelines. For the third category, it was business as usual. With the frost over, the previous warmth resumed. The month ended as the warmest May since 1950, with four heat spikes over 30°C. June was even hotter than May, ending 5.5ºC over average, with a totally dry fortnight mid-month, in the high 20s, breaching 30°C more than once. Persistent rain in the last five days of June primed the vineyard with just enough moisture to counter July’s heat, which reached a high point of 37°C on 18th July but as an average was in fact on the cool side. The most important factor in July was the drought, with only 28mm of rainfall placing just enough hydric stress on the vines to ensure good thick skins (for those vines which escaped the frost). Veraison in the unaffected vines started from 20th July. Veraison for the frost-affected vines continued deep into August. In southern Graves, a hailstorm on 27th July sadly wreaked havoc on what was left. There began a pattern of cool periods in the low 20s, followed by hot ones comfortably in the 30s. Showers at month-end were not strictly needed, given the water reserves already in the soil thanks to the July rains. 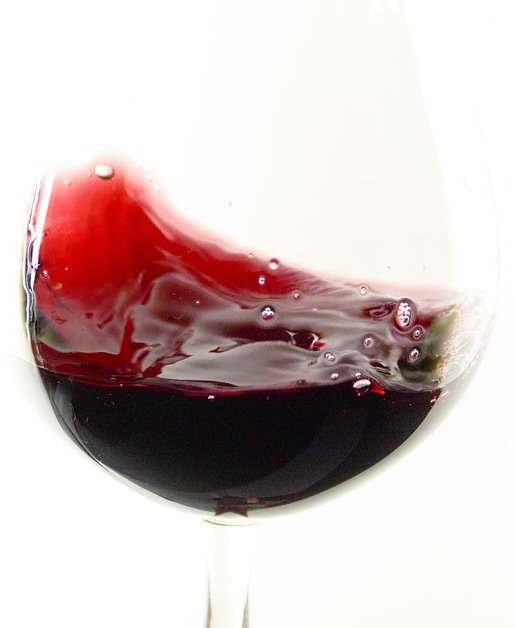 A strong degree of heat returned from 21st to 29th August, rounding off the phenolic (tannin) ripeness. The heat of late August conspired to eradicate all pyzarines from the grapes. Some light rain fell from 27th to 30th August, leading into a damper period in the first half of September. The dry white Pessac-Léognans were the first to come in, in late August. Potential alcohols were gratifyingly moderate, aided by the cool, moist early September period. The unfrosted Merlots were mostly picked in the second and third weeks of September. The frosted vines were much trickier, the vastly varied ripeness levels requiring multiple passes in some cases. The Cabernets started to come in from 22nd September, unusually close to the Merlot harvest. Great wine week in prospect….